The Blocks smartwatch, now available to pre-order. Modular tech is a running theme of 2016 - ask LG, Google or Lenovo - and now smartwatches are joining the party. The Blocks modular smartwatch, which first appeared as a Kickstarter project last October, is available for anyone to pre-order. Head to the Blocks website if you want a piece of this clip-on, clip-off wearable action: you get four modules included for the $330 (roughly £230/AU$445) asking price, with extra modules costing $35 (£25/AU$45) a pop. Shipping is scheduled for October. These modules are the watch's unique selling point, enabling you to customise the function and form of the device on the fly. An extra battery, a heart rate monitor, a GPS module, an 'adventure' module (including humidity, pressure and temperature sensors), a flashlight and a customisable programmable button are the modules available right now. 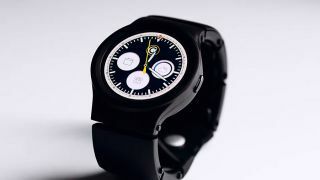 Besides those chop-and-change add-ons (you can wear several at once) you get a stainless steel core watch face that's water and dust resistant, a 400 x 400 pixel AMOLED screen, a Snapdragon 2100 Wear processor and software that works with both iOS and Android. More Blocks modules are on the way, from Blocks itself as well as third-party developers. Modules for a camera, an air quality sensory, integrated flash memory, a stress detector and a body temperature sensor are all mentioned on the Blocks Kickstarter campaign page, which raised a cool $1.6 million. Prices will go up when the device launches fully so if you're taken with the charms of the Blocks smartwatch now is a good time to get your money down on the table. While smartwatches may not be mainstream yet, there's definitely interest there - Pebble's most recent Kickstarter has now amassed more than $10 million in funding. Forget modular smartwatches - what about a modular PC?